Plate evaporator, or plate type evaporator is widely used in light industry, chemical industry, metallurgy, food, pharmaceutical, paper, environmental protection and other industries due to their high efficiency and energy saving. With high efficiency (the total transfer coefficient is 2-4 times of the tube evaporator), compact structure, convenient disassembly and cleaning, low liquid holding capacity, short time of materials at high temperature, etc., The plate evaporator is suitable for concentration of various materials., such as concentration in milk powder and condensed milk production, and concentration in juice, beverage, and pharmaceutical production. The plate evaporators are mainly based on the semi-welding technology of the rising-plate evaporator. 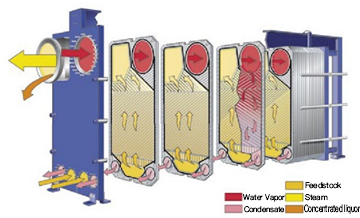 The material evaporates in a channel with a seal, while the steam heating medium condenses in the welded channels. The solution is injected from the bottom of the plate. The product flows upward along the wall of the plate under the action of a large amount of instantaneous steam. 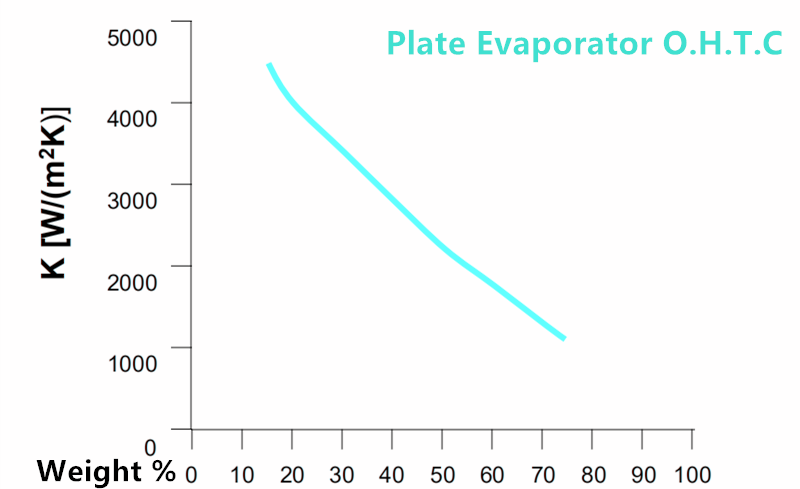 What are the advantages of plate evaporator?